The following organisations and individuals have generously donated services to the Lions’ Den 2019 winner and finalists. This year we have a prize pool for the 1st place winner, 2nd and 3rd finalists. More prizes to come in the next few months! Advisory Board: Quarterly meetings with a group of business advisors, including from The Icehouse to provide further guidance on advancing your idea over the coming 12 months. Equivalent value of $8,000 consulting time. Digital marketing strategy: A one day work shop plus consultation on developing a Digital Strategy up to the value $5,000. Accounting Services: $ 4800 - The Ultimate pack for $400/mth for 12 months. This includes Annual Accounts, Tax management, Liaison with the IRD, Tax reminders, Annual face-to-face meeting, Tax planning and structure review, GST returns, Tax forecasting, 2 x Business Growth Meetings, 2 x Management reports, Annual budget, Annual Business Plan, Annual Cash-flow Forecast, Email & Phone Support. 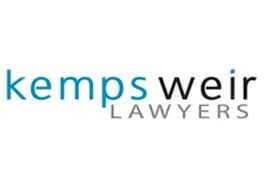 Legal Services: KempsWeir, Commercial, Property and Trust Lawyers, will provide up to $5000 worth of legal advice and assistance to the winning applicant. Printing: All printing requirements including business cards, labels, posters, flyers, car signage, folders and pull-up banners up to a value $1,500 by Soar Printing. Capital Raising: Winning team would get the opportunity to pitch to investors in the Asuna Investor pool for private equity. Through the Asuna Sync Lab, we will work with the finalists to help them develop/review their business plan, develop a pitch deck, and pitch at the Asuna Demo Day early 2020. These services will be delivered through monthly 4 hr workshops in a co-working space and are valued at $8000. Additionally, access to the Asuna Development program (6 x 2.5 hour workshops) , series 1 is available for half price ($260 per person). It entails capturing Vision, Values, Purpose (talent/strengths & passion), goal setting, networking, emotional intelligence, the future of work aspects like custom contracts. Alumni will belong to the Smart City ecosystem for continued networking. 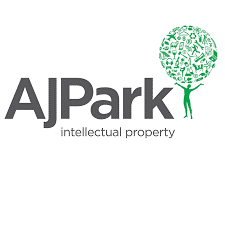 Intellectual Property / Trade Mark advice – The five finalists can meet with AJ Park for up to an hour to consider intellectual property protection and strategy appropriate to their business idea. AJ Park will meet with the finalists to discuss their commercial intentions and discuss whether intellectual property protection can add value to their business. If appropriate, AJ Park can help out with all forms of intellectual property protection, including patents, registered designs, trade marks, copyright, licensing agreements, domain name registrations, trade secrets and know-how. The initial meeting with AJ Park can act as a springboard to help the finalists apply for, and enforce their intellectual property rights around the world. Up to 1 hour consultation each, totalling combined value of $2,000. Banking and Finance – For the winner - Access to a specialist Business Banker that best fits the industry of the potential winner, 6 Free visits to one of our BNZ Partners Centres that are located nationwide, invitation to BNZ networking events, access to specialist BNZ Economic research (covering financial markets, currency research and the economy- specialist industry research), and membership to BNZ Business Essentials ( provides access to services and offers from some of NZ’s leading businesses, to help save time and money. For other finalists - BNZ will offer access to a specialist Business Banker to give advice on all banking needs. Website development and SEO: Custom web development to a value of NZ$6000. 12 months search engine optimisation valued at NZ$10,200 with total package for the winner being NZ$16,200. Design Strategy and Branding: This $5,000 prize package includes design strategy, logo, and collateral designs. You will have a strategy session with our creative team, to find the best solutions for your brand, and deliverables such as logo, business cards, email signature, letterhead, and invoices (as applicable). Photography and Video Services: Total - $6,000. Photography: 1/2 day photography at chosen location (value $1000) Video: 1 day video shoot for a delivered 90 second film for website or social channel (value $5000). Capital Raising Advice: Up to 4 days with Dr Mark Eltom, Research and Innovation Consultant, to help you navigate the R&D funding ecosystem. Mark will help you figure out what R&D you would need to do, develop your R&D plan, connect you into the R&D ecosystem, look at funding sources and give input into writing your funding submissions. Consultancy valued $6,000. Digital marketing strategy: A 3 hour work shop plus consultation on developing a Digital Strategy up to the value $2,500. Accounting Services: $ 3000 - Growth pack for $250/mth for 12 months. This includes Annual Accounts, Tax management, Liaison with the IRD, Tax reminders, Xero subscriptions, Annual face-to-face meeting, Tax planning and structure review, GST returns, Tax forecasting, 2 x Business Growth Meetings, 2 x Management reports. Legal Services: KempsWeir, Commercial, Property and Trust Lawyers, will provide up to $3,000 worth of legal advice and assistance to the winning applicant. Printing: All printing requirements including business cards, labels, posters, flyers, car signage, folders and pull-up banners up to a value $500 by Soar Printing. Capital Raising: Access to the Asuna Development program (6 x 2.5 hour workshops) , series 1 is available for half price ($260 per person). It entails capturing Vision, Values, Purpose (talent/strengths & passion), goal setting, networking, emotional intelligence, the future of work aspects like custom contracts. Alumni will belong to the Smart City ecosystem for continued networking. Intellectual Property / Trade Mark advice: The five finalists can meet with AJ Park for up to an hour to consider intellectual property protection and strategy appropriate to their business idea. AJ Park will meet with the finalists to discuss their commercial intentions and discuss whether intellectual property protection can add value to their business. If appropriate, AJ Park can help out with all forms of intellectual property protection, including patents, registered designs, trade marks, copyright, licensing agreements, domain name registrations, trade secrets and know-how. The initial meeting with AJ Park can act as a springboard to help the finalists apply for, and enforce their intellectual property rights around the world. Up to 1 hour consultation each, totalling combined value of $2,000. Banking: Access to a specialist Business Banker that best fits the industry of the potential winner, 3 free visits to one of our BNZ Partners Centres that are located nationwide, invitation to BNZ networking events, access to specialist BNZ Economic research (covering financial markets, currency research and the economy- specialist industry research), and membership to BNZ Business Essentials ( provides access to services and offers from some of NZ’s leading businesses, to help save time and money. For other finalists - BNZ will offer access to a specialist Business Banker to give advice on all banking needs. Website development and SEO: Development of a standard business website to a value of NZ$6000 12 months hosting included. Digital marketing strategy: A one hour work shop plus consultation on developing a Digital Strategy up to the value $1,500. Accounting Services: $2,100 - SME Pack for $175/mth for 12 months. This includes Annual Accounts, Tax management, Liaison with the IRD, Tax reminders, Annual face-to-face meeting, Tax planning and structure review. Legal Services: KempsWeir, Commercial, Property and Trust Lawyers, will provide up to $2,000 worth of legal advice and assistance to the winning applicant. Website development and SEO: Development of standard business web site to a value of $5,000.